This is the procedure that we use to extract potato seeds. This procedure is suitable for extracting large amounts of seed while maximizing germination and minimizing potential for disease transmission. We extract seed from as much as 25 gallons of berries in a given year and need a process that is fast and efficient with uniform results. You can use this procedure with any amount of berries, but if you have less than a quart, you will probably find it easier to use standard methods for tomato seed extraction, which can be as simple as cutting the berries in half, squeezing out the seeds into a jar of water, and allowing them to ferment for about a week. This post has been updated several times, to reflect changes in how we do the extraction. This procedure uses trisodium phosphate (TSP) to remove germination inhibitors. 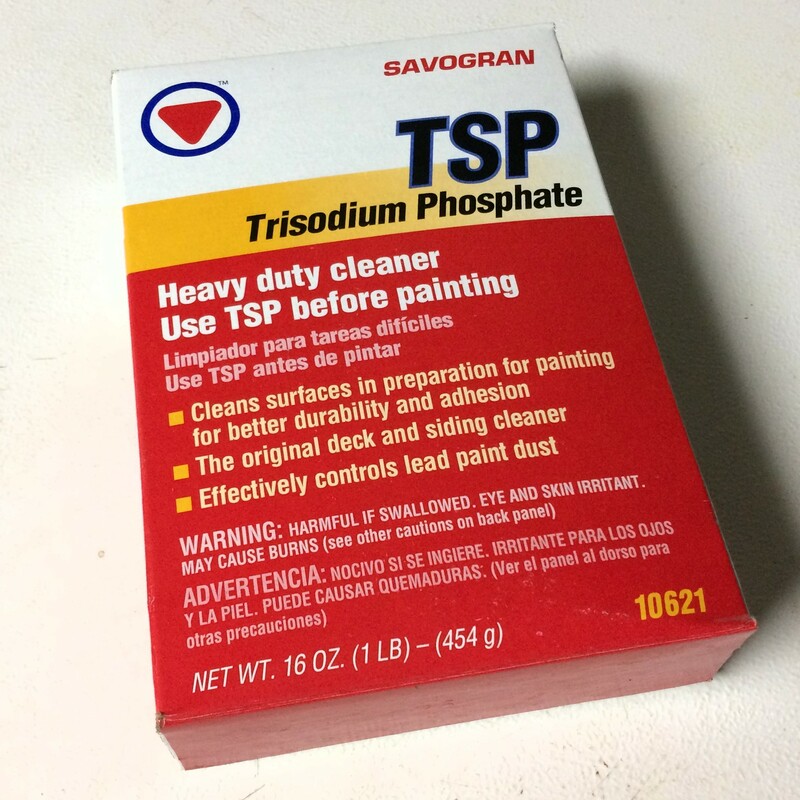 TSP is a detergent that was once used in laundry soaps. Because phosphate detergents are not great for the environment (they end up acting as fertilizers), TSP was outlawed for this purpose. It is still commonly used to prepare surfaces for painting, so you can find it in the paint section of most hardware stores. Many people are surprised to learn that it is also used as a food additive. The amounts used in food are, of course, many times smaller than the concentrated solution used in this procedure. Some people are worried that TSP might be dangerous. It is roughly as dangerous as bleach in the concentrations used in this procedure, so common sense precautions will suffice. You should rinse your hands with water if you get it on your skin and keep it out of your eyes. Don’t drink a glass of it, just as you wouldn’t drink a glass of bleach. The very small amount that you will use for processing seeds is no danger to the environment. It can be safely disposed of down the drain. While large amounts can be bad for wastewater treatment plants, the tiny amount used for seed processing will be diluted to insignificance long before it reaches one. If you have a septic tank and you will be processing huge quantities of seed, you might want to check with an expert to find out if this might harm the microbes in your tank. This is not the only way to extract potato seeds. The fermentation method is less work (in fact, you can let nature do most of the work) but the results may not be as good. The fermentation method also takes more time and involves having a lot of containers of fermenting liquid sitting around if you have lots of berries to extract. You can find other methods by searching for tomato seed extraction methods, which will also work for potato seeds. Wait to process until your potato berries have softened up some. They don’t have to be mushy, but should yield to moderate pressure. You can process them when they are still hard, but you will get a lower germination rate and the amount of gel on the seeds may be difficult to remove. Might as well get any dirt off before you start, since it is harder to remove it later. (Optional) Soak the berries in 1 gallon of water with 2 tbsp of chlorine bleach for 15 minutes. This will surface sterilize the berries and help to cut down on pathogens that might otherwise be transferred to the seeds. This step is extremely conservative, since you will also sterilize the seeds later, so if you decide to skip it, you probably won’t see much difference. Dump the berries in the blender. Don’t fill more than half way or you’re asking for a mess. If you need to process larger numbers of berries per batch, buy a bigger blender pitcher or a commercial blender. We’ve moved up to 70 fluid ounce blender pitchers so that we can process a full quart of berries at a time. Cover the berries with water by about an inch. Again, make sure to leave some space in the blender pitcher because this is going to foam up quite a bit. Blend until the berries are reduced to pulp. It shouldn’t take more than 30 seconds, and much less if the berries are very ripe. Once you are done blending, add water to fill the blender pitcher. This will help break up the pulp. Let the seeds settle out of the pulp. There are a few ways to go about this. This should take about 5 minutes. If you wait too long, the pulp will become waterlogged and you won’t be able to pour it off as easily. Pour or float off the pulp. If you are careful and slow, you can just pour it off. But, if you stir up the seeds, you may end up pouring some of them down the drain. The easiest way to do this without stirring up the seeds is to put the blender pitcher into the sink and run water into it slowly. As the water rises, it will carry off the pulp and you’ll be left with mostly seeds. Strain the pulp from the seeds using a strainer that the seeds can just fit through. The goal here is to remove the last bits of pulp and get down to mostly seeds. Put the strainer over a large bowl and just keep running water through it until all the seeds have passed through. Pour off the water and seeds through your fine-meshed strainer. This time, you want the seeds to stay in the strainer. It is OK if there are still tiny bits of pulp and dirt. You would have to work really hard to get rid of the really small stuff. It will dry out with the seeds. Potato seeds are covered with a sticky gel that acts as a germination inhibitor. By removing it, you make it possible to germinate seeds almost immediately. When the gel is not removed, it may take months or even years for the seed to reach its maximum germination potential. In addition, the gel acts like glue, so if you don’t remove it, you will end up with a mass of seeds all stuck together once you dry them. Put two cups of water in a bowl and add 1 tbsp of powdered TSP. Stir it until it is fully or mostly dissolved. Warm water will dissolve the TSP more easily. TSP is fairly harsh; try to avoid getting it on your skin and rinse it off if you do. It is no more dangerous than bleach, but you don’t want to leave bleach on your skin either. Soak the seeds in the TSP solution for 8 to 12 hours. The TSP is a detergent and will help to break down the remaining gel that surrounds the seeds. The gel is a germination inhibitor, so the TSP soak should help to ensure good germination. We have found that an overnight soak produces the best germination rate from mixed lots of berries where some are not fully ripe. If your berries are fully ripe, you can shorten the TSP soak to as little as 20 minutes. If you do shorten the soak, you might want to double to 2 tbsp of TSP. That is the amount that we used to recommend in this procedure, but we have adjusted the amount down as we increased the soak time. Without the TSP, you might need to do additional soaking of the seeds before you start them to help them overcome the inhibitors. Just a quick rinse this time. You just need to get the TSP off of the seeds. If you did a short TSP treatment, you might need to rinse in warm water to dislodge the remaining gel. If you soaked overnight, cold water is fine. True potato seeds can carry pathogens, both on the exterior and inside the seed. External diseases tend to be fungal, such as the early blight pathogen, which will cause damping off when present on the seed coat. A number of viruses can also be carried within true potato seeds, including Andean potato latent virus (APLV), arracacha virus B (AVB), potato virus T (PVT), potato yellowing virus (PYV), spindle tuber viroid (PSTV), and tobacco ringspot virus (TRSV). Most of these viruses are not common in the US, but they are probably more common among the diverse collections of hobbyists than they are in commercial potato fields. Surface sterilization reduces pathogens on the seed coat and heat treatment reduces both external and internal pathogens. Put two cups of water in a bowl and add 2 tbsp of plain chlorine bleach. This will make a 0.375% bleach solution using standard 6% sodium hypochlorite bleach – Clorox or the like. You may also see this referred to as a ratio. This is a 1:16 bleach solution because there are 16 tbsp in a cup. 1:9 is often recommended (and confusingly referred to as a 10% solution because 10% is bleach, even though the bleach you start with is a 6% solution to start with), but I think that is overkill. Soak the seeds in the bleach solution for 10 minutes. The bleach soak should help to destroy pathogens on the exterior of the seed and may also help to break down any remaining gel. (Optional) Soak the seeds in water at 122 degrees F (50 C) for 25 minutes. If you have the equipment to do so, you can heat treat the seeds. This can help to kill pathogens (primarily viruses, since very little else will have survived the TSP and bleach). We have some nice laboratory water baths to do this job, but that is probably a bigger investment than most amateurs will want to make. You can instead put a bowl of water on a hot plate, but you will have to monitor with a thermometer to prevent the temperature from exceeding the limit for long, which will kill the seeds. For a little more money, you can buy an external thermostat and plug the hot plate into it. That will act as a safety to prevent overheating the seeds. We lose about 6% germination from seeds that have been heat treated, but I consider that a reasonable exchange for reduced risk of disease transmission. Rinse the seeds under cool water. If you are processing a large batch of seeds, they may not cool down quickly enough and could be damaged. Rinsing with cool water will prevent this. Seeds drying on paper. The more you spread them out, the faster they will dry. Let the seeds drip dry for a little while and then dump them on some paper to dry. Try to spread them out some so that they don’t clump together. Depending on your air humidity, it could take a week or two for them to dry. You can’t do any harm by allowing them extra time to dry, but you will have storage problems if you don’t let them dry long enough. Everybody has their own preferences for blotter paper. Paper towels dry the seed quickly, but it can be hard to remove the seeds, particularly if you only did a short TSP soak. 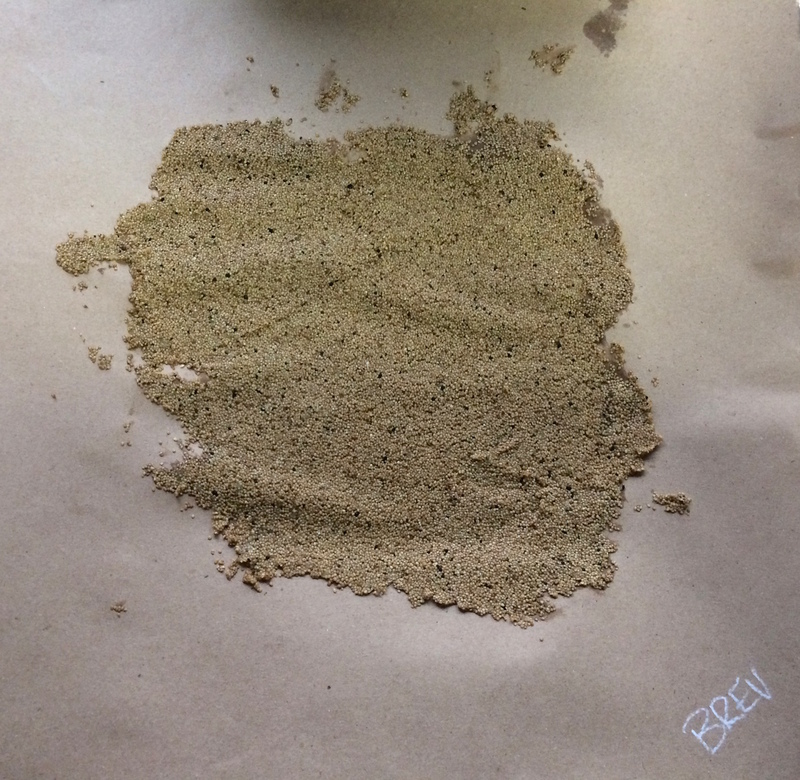 Waxed paper prevents sticking, but can also lead to clumps of seed staying wet longer, which can be bad for germination. We have now settled on brown butcher paper, which dries better than waxed paper and sticks less then paper towels. Store your seeds in a bag or a jar, preferably with some desiccant. They’re still not as dry as they can be, so it is best to use a container that can breathe or to add a desiccant pack to dry them out further. (Optional) Freeze your seeds for long term storage. If you want your seeds to be retain good germination for longer than three years, store them in the freezer or refrigerator. Make sure that they are fully dry before freezing. If in doubt, store them in containers with silica gel desiccant for a few weeks before freezing. That’s it! This may seem like a lot of work (and it can be if you are maintaining a lot of potato varieties) but potato berries generally give a lot of seed and it remains viable for a long time, so you probably won’t have to do this for every variety every year. This entry was posted in Blog, potato (Solanum tuberosum), seed saving, true potato seed (TPS). Bookmark the permalink.